Located downtown near parks and the Free Rail Zone; featuring a community kitchen and patios. 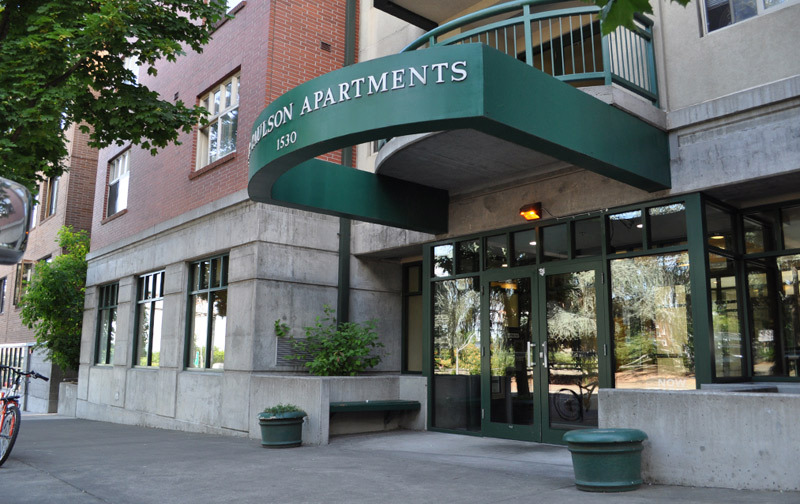 The Peter Paulson is a five-story apartment community with 92 furnished Single Room Occupancy (SRO) homes with kitchenettes and private baths and 1 one-bedroom apartment. Located on the corner of SW 13th Avenue and Market Street, it is near parks, shopping and public transit. Peter Paulson offers cable-ready apartments, controlled building access, a 24-hour desk attendant, a community kitchen and television room, an open-air courtyard, community patios on each floor, laundry facilities, and bicycle storage. The community is located near parks, a bus line and the Portland Streetcar, with easy access to freeways. Applicants must have annual income that does not exceed 50 percent of the area median income. Managed by Cascade Management, Inc.